Probate is the process by which the court administers the estate of a person who has passed, and settles all unresolved issues as well as oversees the distribution of any remaining property. There are various estate administration procedures depending on the size of the estate, as well as the number and age of beneficiaries and/or interested parties. Having an experienced probate lawyer will ensure that all aspects of this process are correctly handled, estate tax returns are filed and the balance of the estate is distributed in an expeditious manner. Historically, the term Probate refers to the process where a court determines the validity of a Last Will and Testament. Currently, this term is also used for the legal proceeding where the estate of a decedent is opened and administered through to its conclusion. The administration of an estate can involve more complex matters such as the appearance of federal and state estate tax, attempts to invalidate a will, and other litigation matters stemming from heirs and other parties who may have claims against the estate. The “death tax” is a popular euphemism for estate taxes and inheritance taxes. Both are excise taxes, which are controlled by a series of complicated federal and/or state laws. The Federal Estate Tax (FET) was officially signed into federal legislation in 1916. That tax is levied on all assets you own at death. The tax graduates to higher rates based on the total value of all assets minus the debt an individual has at passing. This tax is imposed on the taxable estate of every decedent who is a citizen or resident of the United States. Currently, the FET exempts $5 million per person or $10 million per married couple–the latter being effective when proper estate planning is undertaken. Estate taxes are now as much of a certainty in everyday life as death and tax themselves. However, many people are entirely uncertain of what estate taxes actually entail because their complexity. In addition to FET, many families today are subject to state estate taxes. This is the case in Maryland, which enacted an estate tax that is independent from FET. Comparable to FET, the Maryland Estate Tax (MET) is graduated based on the value of what one owns at death. Maryland has a current top rate of 16 percent on all assets owned at death that are valued at more than $1 million. Another death tax is levied on the act of inheriting. In Maryland, this tax is dependent on the relationship of the decent to the inheriting party, and does not graduate based on value. Today, only friends, nieces, nephews, cousins, aunts and uncles are subject to the inheritance tax, which is levied only on what they are inheriting. Most people share a common goal of eliminating or reducing death taxes wherever possible. 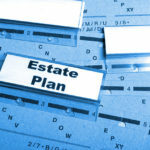 Various professionals, including those in the insurance and financial worlds, place an emphasis on estate planning and tax maintenance in order to do so. There are several methods to reduce or eliminate estate tax. No one method is appropriate for every person. Each individual’s goals are unique, and a plan must be tailored to not only meet one’s needs but also those unique goals. Those factors coupled with the complexities of these estate laws necessitates that great care be taken when drafting these documents. People must remember that the goal is not to evade taxes, but rather to produce the best possible outcome for those inheriting. Ensuring positive outcomes is a fundamental reason to have a good estate plan. Why? Because failing to plan, is planning to fail. 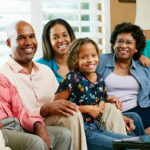 Probate court, also called “Orphans’ Court” in Maryland, specifically deals with probate matters occurring during the administration of estates. Orphans’ Courts generally work in conjunction with the Register of Wills to ensure estates are correctly administered. 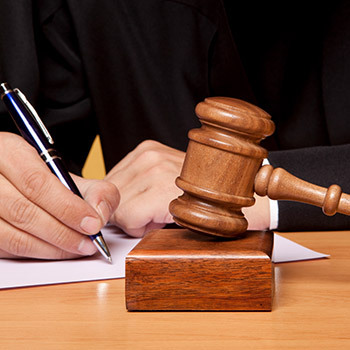 The court, in an order, must authorize the final administrative accounting and attorney fees. Certain litigation filed within the estate is also heard in Orphans’ Court. Some of the most prevalent cases heard are when the Orphans’ Court is asked to determine the authenticity of a Will, or a Caveat proceeding to determine if there is an additional reason to invalidate a Will. In intestate estates, the Court can be asked to determine who is the most appropriate person(s) to be appointed as the personal representative. The lawyers at Abraham & Bauer provide dedicated representation to all litigation matters that may arise during the probate process. Additionally, the firm offers consultation and advice to those seeking a greater understanding, or a better strategy, for approaching these often complicated matters. Let us help you navigate the complexities of Probate. Failing to plan is planning to fail! Don’t wait until you have a crisis to review the plans you have in place. We can help you with Estate Administration, Estate Taxes and Orphans’ Court Representation.